A wide collection of custom orthotics available in most styles. Click here to watch videos about the benefits of orthotics. 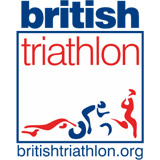 British Triathlon is now a Federation, whose members are the Home Nation’s Associations of Triathlon England, triathlonscotland and Welsh Triathlon. Central London’s running and triathlon club. 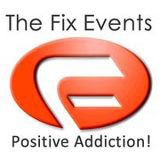 Event management specialists running sporting events including Fun Run’s, Triathlons, Corporate Sports Days to Pantomime horse racing! Hot yoga is a series of postures and breathing exercises performed in a heated room. The heat allows the body to stretch and compress more deeply, minimising the risk of injury or strain. Founded on the principles of clinical research, the company’s major contribution to chiropractic care is discovery and development of the world’s most popular instrument adjusting technique, the Activator Method. The MyoVision Scan takes 90 seconds and is completely safe, painless and non-invasive. These readings allows your healthcare professional to determine if your spine and nervous system are functioning optimally. Chiropractors for London’s W2 communities of Paddington and Marylebone.